John Edward Walsh, Jr., often known as John Walsh, represents himself as an American television personality. He has also made his identity as a criminal investigator, human and victim rights advocate. A versatile personality, Walsh also has experience of working as the host and creator of American’s Most Wanted. He has gained name for his anti-crime activism and he expresses his hatred towards criminals all the time. 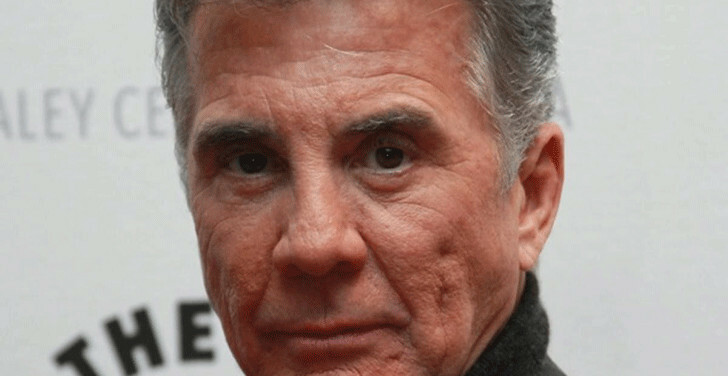 John Walsh made his strong presence in America, from Law court to television and has gained name and fame for his contribution in various sectors. BIOGRAPHY OF AMERICA'S MOST WANTED "JOHN WALSH"
Born on December 26, 1945, John Walsh attended the University at Buffalo. Walsh was born and raised in Auburn New York. After completing his college study, Walsh married with Reve Drew and then after he moved to South Florida. In South, Florida Walsh started to invest in high-end luxury hotels and he has some share in the Museum of Crime & Punishment in Washington, D.C. In 1981, Walsh’s son Adam Walsh was murdered and later his severed head was found in a drainage and other remains were never found. John Walsh suspected serial killer Ottis Toole to be the murderer but it took thirty years for the police to identify Toole as a murderer in 2008. Toole, who had been serving a life sentence for other crimes, died in 1996 in prison. After the murder of his son, John Walsh founded the Adam Walsh Child Resource Center that works to legislative reform with many centers located in various cities of United State. John Walsh served the center as the director. After losing their son, the Walsh family started to work for missing and exploited children which led to the formation of the Missing Children Act of 1982 and the Missing Children’s Assistance Act of 1984. His work to help missing child continued and he started to lobby to implement The Adam Wash Child Protection and Safety Act, which was signed by President George W. Bush. In 1989, “Code Adam”, the announcement made when a child is missing in a store or if a customer or a Storekeeper finds the child, is implemented by Walmart. Under “Code Adam” all doors of stores will be closed if the child is lost and information about the missing child will be broadcasted over the intercom System. John Walsh also worked for various television networks, where he hosted shows of crime investigations. He worked on Fox, where he hosted America’s Most Wanted in 1998. Currently, he hosts crime investigation show The Hunt With John Walsh on CNN/US. Moving to John Walsh's personal life, after the death of Adam, the couple gave birth to Meghan in 1982. Currently, they have three children. Although they have three children the couple has mentioned that there is no substitute for Adam. Having being worked on filed of crime and Investigation, Walsh has made net worth of $20 million (2016). More information on Walsh can be found in other various websites and to get his recent updates he can be followed on various social networking sites such as facebook, twitter, and Instagram.